Technical Manager EMC, EMP, Lightning and Tempest, SES Division, QinetiQ 2000-2007 and Fellow, QinetiQ. 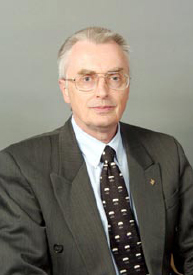 Director of the IEEE EMC Society 2002-2005. Visiting Professor at the University of Liverpool on Aircraft EMC and HIRF 2006 on. Consultant on HIRF and EMC Testing 2007 on. Nigel Carter is an internationally recognised expert in the fields of electromagnetic compatibility (EMC), nuclear EMP, and the impact of High Intensity Radiated Fields (HIRF) on aircraft. His research has led to the development of new test techniques which have been adopted world wide. Dr Carter has been working in the field of E3 (EMC, Lightning and EMP) for over 40 years joining QinetiQ in 1966 and retiring from QinetiQ in April 2007. His primary research activities in this time have been the development of test methodologies for assessing the vulnerability of both civil and military land, sea and air assets to electromagnetic environmental effects. This work has produced novel test procedures which have been encompassed in national and International Standards. He was a member of several national and international specification committees including the civil aircraft HIRF committees where he was the working group leader responsible for production of the civil aircraft HIRF Users guide. He has presented many papers at international symposia on his research. More recently he led a team evaluating the impact of TETRA on UK police traffic law enforcement devices for the Home Office. The output of this study which included environmental surveys and immunity testing has been new EMC test specifications for these devices. Development of equipment EMC test procedures which have been adapted in standards internationally. Development of aircraft EMC/HIRF clearance procedures which have been adapted world wide for both commercial and military aircraft testing. For this work he was awarded the Royal Aeronautical Society's Bronze Medal in 1991 for his "contribution to the UK, Europe and USA philosophies and procedures for aircraft and equipment Electromagnetic Hazards in terms of vulnerability predictions, improved hardness and testing." Development of nuclear EMP test philosophy for UK aircraft. 2000- 2006 European Co-ordinator Immunity Testing EUROCAE WG14. and from 2005-2006 appointed Secretary to the committee. 2000- Executive Board Member of the Aerospace Rulemaking Advisory Councils Electromagnetic Effects Harmonisation Working Group. 2003-2005 Director IEEE EMC Society. 2003-2007 Global Conference Co-ordinator IEEE EMC Society. 2004-2007 Chairman IEEE P 1309 Committee. All logos and trademarks on this site are the property of their respective owners. The comments are the property of their posters.